An original movie theater poster. The poster is in near-mint condition and has never been hung. Measures at 27x40 inches and is double sided. 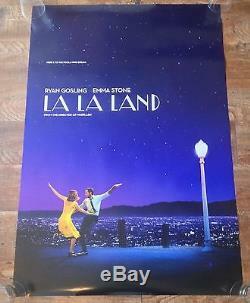 The item "La La Land Final Original movie theater poster 27x40 DS" is in sale since Tuesday, January 17, 2017. This item is in the category "Entertainment Memorabilia\Movie Memorabilia\Posters\Originals-United States\2000-Now". The seller is "original-movie-posters255" and is located in Mobile, Alabama. This item can be shipped to United States.